Servend beverage dispensers offer a variety of self-serve models, so you’ll be able to find the perfect unit. For small restaurants, choose a 6, 8, or 10 valve option. For larger establishments, consider the 12 or 20 valve options to offer even more flavors. Plus, you can easily change between carbonated and non-carbonated flavors to keep up with changing trends. For easy dispensing, some units use push buttons while others use sanitary levers. Push button units provide fast service and need minimal pressure to activate. The levers prevent contact between the lip of the cup and the dispenser for a sanitary dispensing process. Plus, the sanitary levers are ADA compliant so all your customers can use it with ease! You also have the choice between countertop and drop-in units. Countertop units have the advantage of an automatic ice dispenser controlled by a lever. With drop-in units, you have to scoop ice out of the bin, but the ice bin is lower and easy to fill. For easy service, Servend beverage dispensers can store anywhere from 60 to 400 pounds of ice. Served offers dispenser's with Icepic, which allows you to offer cubed and crushed ice at the same time! These units come with bright merchandiser panels. A “Quench Your Thirst” graphic comes standard with most units. Any unit with an Icepic feature instead shows an ice and beverage graphic. Add new and exciting beverage options to your cafeteria, break-room, or restaurant with a Servend ice/beverage dispenser! See the many advantages that come with choosing a Servend beverage dispenser! You can easily offer guests a variety of flavors so every customer can have just what they want. Servend Flav'R Pic - What's your pic? 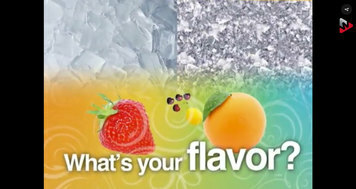 Did you know that the Servend Flav'R Pic can be used to create over 1000 unique beverages? Check out how a few customers use the Flav'R Pic to customize their perfect drink! 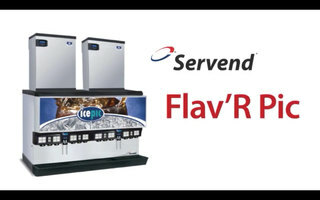 Servend Flav'R Pic is an ultra-versatile ice / beverage dispenser great for high volume operations. It dispenses up to 3 ice types and has 32 beverage selections and 16 flavor shots. When combined, these options create over 1000 possible beverages! For more information, check out this video. 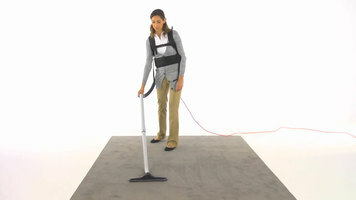 Learn how to properly empty and clean the bag and filter on your Hoover Commercial Back Pack vacuum cleaner. This video will show you how to dismantle and reassemble your unit for effective bag and filter cleaning.